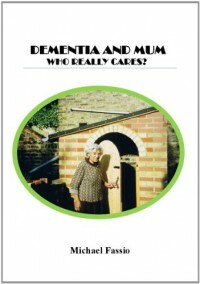 Dementia and Mum: Who Really Cares? Having helped my Mom care for my Dad for nearly 8 years from the onset of his stroke-induced vascular dementia until his death in February 2012, I found DEMENTIA & MUM full of poignant reminders of the emotional turmoil of caring for a much-loved parent during the slow, cruel decline into dementia. The love and the guilt, the small joys and the big frustrations, are all honestly discussed in this easy-to-read and very personal story of one man’s struggle to keep a promise to his Mum – to care for her to the end. Despite the author’s non-British parents, this story reflects the best of the British soul: the endurance, the community spirit, the dry English humour during even the worst of times. Fassio’s day-to-day struggles with the minutia of care-giving (sleeping on the floor, washing and cleaning his Mum in the most intimate of ways, the total dedication to give her as much dignity for as long as he could), brought home to me what my Mom’s experience as a carer living 24 hours with a dementia sufferer must have been like. Reading of the ever-increasing limitations on Fassio’s own life, including the loss of his friendship with Susan because of his devotion to caring for his Mum, made me realise what an essentially lonely task being a primary carer is. To be an effective carer of a loved one suffering from this horrible disease requires much personal sacrifice and strength of character. During the last stages of my Dad’s dementia, I read a few books by people in similar situations. This book draws a very real picture of the day-to-day grind of what long-term parental care involves, and the impact it has on the primary carer, be it either a son or, as in my Dad’s case, a spouse (my Mom). What makes Michael Fassio’s personal journey so inspiring is how he consciously strove to remain positive throughout the long years of caregiving. The most lasting impression I have of this story is that true caring for a parent suffering from dementia is a task only made bearable when it is also love in action. And that’s what makes “DEMENTIA & MUM: Who really cares?” such a delightful read despite the sad and troubled topic: it’s chronicles a son’s final tribute to his much-loved Mum. What a wonderful woman she must have been to inspire such devotion. 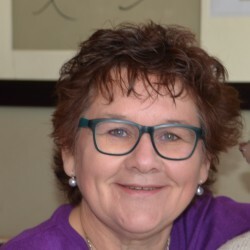 Judy Croome, Johannesburg, South Africa.